We will deliver your Luggage to your accommodation while you enjoy your walk on the stunningly beautiful South West Coast Path! We are now operating our summer hours, meaning the phones will be answered between the hours of 9am-7pm, 7 days a week. If you send an email or complete the enquiry form, you will receive an answer within no more than 48 hours, but normally within 24 hours. Luggage Transfers Ltd delivers around 10,000 bag per month, which means you can trust us to deliver every time and you know your bags will be in good hands!! The average per bag cost for all our customers last year was £8.52, however this included larger groups. For 2 persons walking, the average cost is about £11 per person, however it can also be as low as £9.50 depending on where you’re walking and how many are in your party sharing the cost. Please note that the very latest you can book a next day transfer is 6.30pm the night before, however it is much better if we receive it by 4.30pm to ensure we can place a driver. Please DO NOT book late ones via e mail after 6pm .... always call it through to us and please never consider it booked unless you have it confirmed by us, either by speaking with us or by a return e mail telling you it is all booked in. Just because you leave money with your bags in the morning does not mean you have booked in! WE DO NOT TAKE SAME DAY BOOKINGS..... Our drivers already have their schedule and have called ahead the evening before, so unless they are actually visiting the establishment you are staying in, no same day bookings can be taken. We are the cheapest baggage transfer service on the market across the whole of the South West Coast Path and will endeavour to price match any written quote from any other luggage transfers specialist where possible. All collections are after 9.15am and are usually delivered to your destination before 4.30pm. We are happy to collect from Hotels, Guest Houses, Camp sites and Youth Hostels along the entire South West Coast Path and all the land mass in between. Should you find an accommodation not on our list or you are lucky enough to have a relative leaving nearby, we can deliver there too! If you are staying at an air BNB... WE NEED ALL CONTACT DETAILS PLEASE, especially phone number.! and b) be around to accept or hand over your bags at the time window the driver gives them when he calls the evening before if they are not prepared to allocate a designated place that the driver can deliver to or pick up. If they cannot be flexible, further charges will be made as it is likely a taxi will have to do the job. Not booked your Short Break Accommodation yet? Go to our Short Break Accommodation section where you will find the most comprehensive walker friendly short break accommodation database covering all of The South West Coast Path and more, brought to you by Luggage Transfers Ltd. Once you have booked your accommodation, simply complete our inquiry form for a quote within hours. Don`t worry if you book accommodation which is not on our list, as we can deliver and pick up anywhere within the South west peninsular of England! 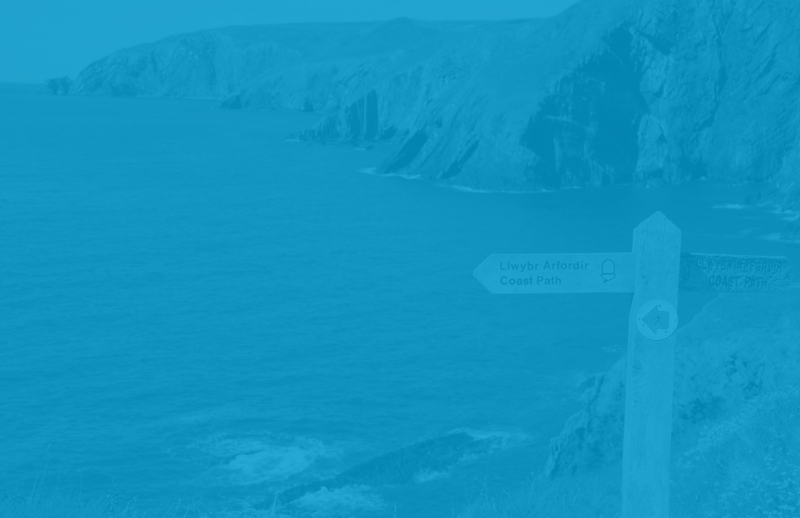 Luggage Transfers Ltd provide expert phone support for walkers of the South West Coast Path, 7 days a week from 09.00am to 18.45pm from Mid March to the end of October, and during normal office hours of 9am till 4.30 pm outside of those months. Call us on 01326 567247 or contact us by e mail (if not urgent) - either way is fine. If you prefer a walking company to take the stress out of it for you, then our sister company Walk the Trail would be delighted to help you and can provide you with a no obligation quote for a high quality walking holiday on the South West Coast Path, Pembrokeshire Coast Path, or The Two Moors Way - the choice is yours! The South West Coast Path is widely acknowledged as the finest walking trail in Britain, and although it is now the 2nd longest after losing 1st place to the Wales Coast Path, it is still the longest walking route designated as a "National Trail" in the UK. At 630 miles long, the South West Coast Path begins in Minehead and travels west through Somerset, Devon and Cornwall, rounding Land's End and returning in an easterly direction where it passes through the halfway point at Porthallow, and continues on through south Devon and then into Dorset, before terminating at Poole. Lovely Videos of Cornwall and Dorset ! No doubt you enjoyed the video on the South West Coast Path above, and we have found one for Cornwall and also Dorset too. This one is of Cornwall, and we think it demonstrates why the population expands from 500,000 to an estimated 10 million in the height of the season! Cornwall is probably the most stunning of all the counties encapsulated by the South West Coast Path. It is the most rugged after being battered by massive Atlantic storms and as a result it has more beaches and secluded coves than any other County in Britain. It is also blessed by the gulf stream which warms it's waters and makes it a haven for sea life, not to mention tourists who find the summer time 18 degrees water much more comforting than the 12 degrees North sea! Anyway - take a look at the video and to view the one about Dorset, just scroll down a bit. We think Dorset is similarly stunning, not with the ruggedness of Cornwall, for Dorset is a gentle county with long sandy beaches and many interesting villages and nature reserves, but the jewel in it's crown is most definitely the Jurassic Coastline which forms a 95 mile section of the South West Coast Path (SWCP). This prehistoric coastline has been eroded by millions of years of sea and salt air to reveal its secrets in the forms of fossil remains of dinosaurs and plant life from this most fascinating of Earth's historic periods. More than that, some of the views that this constant erosion has created, particularly for the walkers of the SWCP, are incredible. Many book their walking holidays in Cornwall because they simply don't think of Dorset, but we at Luggage Transfers urge you to think again, Cornwall is great, but for completely different reasons. So to experience a gentler climate and a different type of history, take a look at Dorset, and whatever you are doing there, think of us for any of your kit transfer needs! We deliver everywhere and anywhere throughout Cornwall, Devon, Dorset and Somerset. If you need Short Break Accommodation go no further than to use our own database, which generates a thousand inquiries a week - surely they can't all be wrong!